Home > Free > Coleman Natural Coupon | 50¢ Money Maker on Beef Hot Dogs! 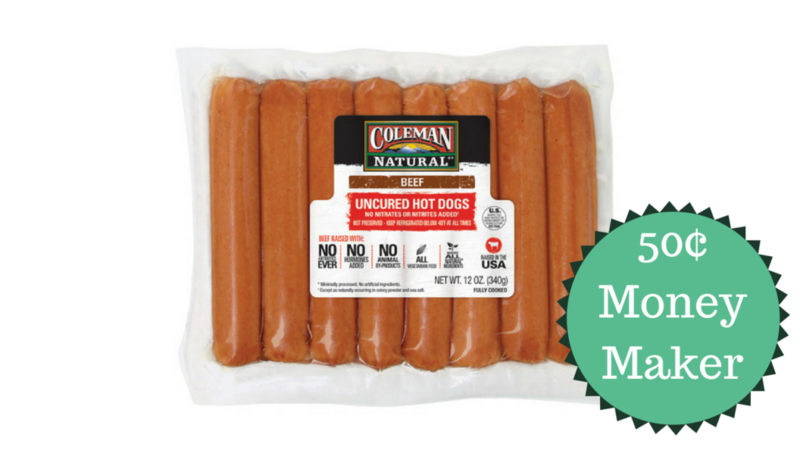 Coleman Natural Coupon | 50¢ Money Maker on Beef Hot Dogs! Hurry and print this great Coleman Natural coupon for some fantastic deals at Harris Teeter this week during Super Doubles! You can even make 50¢ when you pair it with a current Ibotta coupon. Heads up, this coupon is only available in certain areas. If it’s not available in your area, you can use the Harris Teeter eCoupon instead. Find more Harris Teeter deals!